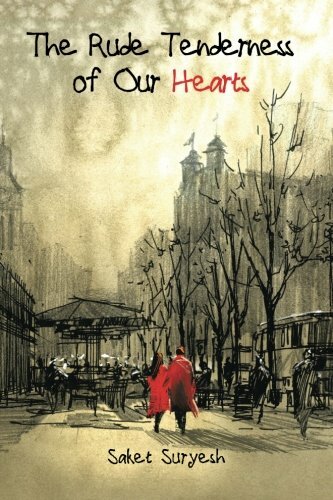 "The fibers of our secular hearts are bent and bowed beneath unaccustomed tempest. "- Virginia Woolf- English Prose. Ms. Woolf wrote the above sentence in some other context. I find it truer today than any day earlier. The fanatic fundamentalism is on rise, not in India, rather world-wide. Last week, we saw shooting in Orlando, which killed fifty people. The shooter, claimed allegiance to ISIS and asserted that he committed the act of terror as his service to Islam. In today's time, it is very difficult to be objective and to even mention the word without being ready to face a barrage of Bigot!, Islamophobe! and such, if you are lucky. If you are unlucky, you can, well, look forward to a bunch of gun-yielding crazy guys breaking into your place, hacking you to death. It is extremely courageous for Lesley Hazleton to chose to write about Muhammad, his life and his journey to the launch of the largest religion on the planet, in such times. The subject is intimidating, and Ms. Hazleton adroitly walks through the landscape full of landmines. She looks at the prophet with an objective lens, without ever being insulting or dishonestly respectful to the Muhammad. She analyzes his subject with the honesty of a psychologist. I am a secular with rightist bend of mind. I know it is an odd statement to make, but then, we find Liberals with leftist bend crowding the public discourse. I trust, this classification is as real. We have leftists, who are self-proclaimed atheists (like the JNU vice-president) sending notes on the feminism of Muhammad, then it would be absurd to negate my own Hindu leanings. It doesn't affect my objectivity or my secular sensitivity, so I would believe. In this regard, I can claim to be slightly better, more liberal than many of my Muslim friends who go silent on hacking of Hindu kids in Kerala or elsewhere and who would believe it is the question of human freedom to eat animals, contrary to religious faith of their neighbors, while writing eloquent essays on merits of vegetarianism on World Earth Day. They are the intellectuals and they guide and mold the thoughts of the world. The lesser mortals set their moral compass based on their words and when they say it is perfectly alright to sacrifice a goat and enjoy the beef as it is a sign of religious and intellectual freedom even if your next door neighbor is offended, the world believes them. They would suddenly go silent when Hari Kanzru was asked to be debarred from speaking at Jaipur Literature Fest for reviewing the book and Salman Rushdie banned from Jaipur and Hari and his writer friends be asked to leave Jaipur for reading the excerpts of The Satanic Verses. They would often link world events of terror to the demolition of an outdated mosque in India, people believe them. They create outrage and then legitimize the violence arising out of it, while practicing Yoga to calm their nerves. They will tell us that Islam doesn't subscribe to violence and quote some of Muhammad's revelations from Quran. But then, the terrorists would also quote from the same holy book. A non-Muslim would stand confounded. That the history of Islam, the key articles of faith like Ka`aba are wrapped in mystery, does not help. This book unwraps those mysteries, untangles the web, with sincerity, respect and honesty. The First Muslim begins with the revelations to middle-aged Muhammad on Mount Hira. There is a poetic expression to the principles of unity, equality and most significantly monotheism which comes about with the first revelation. The book delves into the ancestry, understanding the political and religious surroundings in which the founder of the newest religion tool shape. Muhammad belongs to the tribe of Quraysh, one out of the four families of Quaraysh, the Hashims, which controlled the polity and economy of Mecca. His grandfather, Abd al-Muttalib, discovered Zam-Zam, the only source of sweet water in Mecca, a priced property in the desert, and controlled access to it, for all the visitors and inhabitants. It wasn't surprising that his lone ownership was challenged by other Quraysh tribes and was answered with a vow by Abd al-Muttalib to sacrifice one of his ten sons. The sacrifice after much dithering and debate, fell on Abdullah, who was to sire Muhammad. Mecca at that time was polytheist state, Al-lah being the Higher God and His three daughters, being principle deities of the Quraysh. As Abdullah grew up and the time of sacrifice arrived, Abd al-Muttalib was advised to spare his son's life in return of blood money (sacrifice of 100 camels). Abdullah was married quickly and Muhammad was conceived. However, as fate would have it, Abdullah would soon die in Medina, and Muhammad would be doomed to a life of an orphan. Amina, his mother, hires Halima, a Beduin (vagabond) as his wet-nurse. This makes Muhammad, much open in his outlook, almost a Beduin in a highly fractured, orthodox society. It was only apt that he was troubled by the inequality among people in his society. Muhammad grew up. In the meantime, Ka`aba formed the center and backbone of the economy of desert state. Traders would the make pilgrims once back from trading expeditions, chanting labbayka allah-umma labbayka (here I am, O God of all people, here I am). The success of any religious cult, or faith lies in its accommodation of the conventional past. It needs to fit in, even with all the revolution it promises to bring in. The key position on which popular faith hinges must be maintained. This we see even today in many cult-gurus today. They may declare themselves as Gods, but they never negate the traditional Gods. That would be counter-productive. Not initially at least. Thus, while Muhammad brings in a new way of spirituality, he still worships the Ka`aba and draws his legitimacy from the hold. In fact, the initial revolution begins softly, calmly, in all humility as a reform of the sort. Raised by his uncle, Abu Talib, he, twenty-five year young man, seeks to marry his cousin, Fakhita- Abu Talib's daughter. Promptly refused, Muhammad goes on to marry, Khadija, his first wife and longest partner, who was around forty at the time of marriage. As fate would have it, in 605, Kaa`ba was destroyed in flash floods. It was rebuilt and a major crisis came up on who would do the honor of placing the Onyx back in its place of worship. Muhammad, coincidentally was the first man to enter the precinct and became the arbiter. He suggested that the stone be carried on a cloak and carried from each corner by each of the Quraysh family. They brought it to the place and eventually, Muhammad, picks the Onyx and places it for worship. Families did not mind it much, since Muhammad then was neutral and largely, inconsequential in political scheme of things. The first revelation came in lucid poetic format to Muhammad. He says it came from Gabriel. (I follow Thomas Paine in this matter. A revelation is revelation to the man to whom it is revealed, to any other person it is hearsay). Muhammad spent following days fearful and reeling in self-doubt. But Khadija believed in him, and said, "I hope that you may be the prophet of this people." Muhammad however, kept on claiming that he was- just a messenger, - just one of the people. He comes out with new, fresh, unconventional ideas, but he is totally non-confrontational. He is one of the people, he doesn't argue with those who do not agree with him. He invites his Hashim kinsmen to dinner, to share his verses (Aya) of revelations, including uncle, Abu-Talib and his cousin, Abu-Lahab. And then he recites his revelations, and Abu-Lahab walked out in fury. He asks them who all will join him, in his new journey. All held back except, Ali, the adolescent son of Abu-Talib. It makes Abu-Talib a subject of ridicule as the orphan, Muhammad, turns him into his own son, Ali's disciple. Still Muhammad remain non-confrontational. He does not propose a new God, he does not propose himself as a God. He continues asserting his allegiance to Al-lah, and maintains himself to be one of the other people. He takes only a thin diversion, a differentiation for his new religion. He declares the daughters of Al-lah, who were earlier worshiped as Goddesses, Uzza, Lat and Manat, as no longer divine, not worthy of worship. He brings in mono-theism, but to an older God. Abu-Talib refuses to denounce them stating that he cannot refute the way of his fathers. There the fault-lines appear. Denouncing the daughters of Al-lah as tribal gods, is denouncing the way of fathers, continuing allegiance to Al-lah ( derived from Mesopotamian God El). It has no confrontation with any one, even Christianity. Says Quran,"We believe in God and in that which has been revealed to us; in what was revealed to Abraham, Ishmael, Isaa , Jacob and the tribes of Israel; to Moses and Jesus and other prophets." There is no confrontation, no slaves, no free men, no men, no women in front of One God. Islam is the path to equality to a class-stricken Meccan society. And since there is no confrontation, easier to join in. It is the revelations from this period which is cited by liberal scholars of the world as the peaceful face of Islam. It comes from a period when it was weaker and still struggling to find its roots, in the face of opposition. Muhammad was still a small trouble to the Meccans of the time- a nobody followed by nobodies, like mushrooming cult ashrams in India. But then Abu Bakr, a Nobleman converts to Islam. Head of Makhzum clan reaches Abu Talib, asking Muhammad to be exiled. On his refusal, entire Hashim clan is boycotted. Hardships increased on those subscribing to Muhammad's ideas, Abu Bakr nearly saved an Ethiopian slave, Bilal who becomes the first Muezzin. Still his advise was of non-confrontation. "Turn away from them and wait. Ignore them; you are not to blame. Be tolerant and command what is right; pay no attention to the foolish." -is Mohammad's advise to his follower. He even accepts the three daughters of Al-lah, when he says- these are three great exalted birds, and their intercession is desired indeed. But then he has second revelation. He disowns the first one as having come through Satan, (thus Satanic Verses), and goes back to his initial position. We cannot know how muc of it was Gabriel and how much was the politics of keeping the now growing disciples happy. Eventually he is exiled and takes sanctuary in Medina. Positions are hardened though still non-confrontational- I will never server what you serve and you will never serve, what I serve. To you your religion, and to me mine. Things change in Medina. Medina (City of Prophet) at that time known as Yathrib in 621 AD was a place of incessant internal strife. When Muhammad was called into the city as a neutral arbiter between the tribes of Aws and Khazraj, he negotiates settlement for 200 of his exiled supporters. This is a marked change, he does not seek protection of a tribe, but is designating his tribe as independent. He gets his own tribe settled their, with allegiance to Islam, not to their forefathers. It is a new cult and new faith. Muhammad is no longer just a messenger, he is the head of a tribe- religio-political head. From here, the poetic and spiritual journey of romanticism turns to shrewd politics. This is the part after which extremists take over and the liberals Muslims cede the ground. It begins with Nakhla raids. It happened during the three holy months when fighting is prohibited (by laws of the forefather, which Muhammad, never fully negated). A raid by the follower of his newly established cult/tribe/faith ended up in the killing of Meccans. Murmurs of the discontent rose regarding the inconsistency between newly-found faith which said - "Fight in the way of God those who fight you, but do not begin hostilities, for God does not like the aggressors." and which sent out the followers to attack the caravans of the Meccan Merchants. Then came Muhammad's possibly first political revelation- "permission is granted to those who fight because they have been wronged...those who have been driven out from their houses because they said our God is our god." The author brilliantly puts it here when she writes- Offense was now sanctioned in the name of ex post factor defense. This was to be the narrative of extremists in the times to come. Battle of Badr was another such raid on Meccan caravan. This was serious, it was led by Muhammad, now as a Military commander, in addition to a spiritual and political one. He himself led an army of 300 followers to attack the caravan for two days. They successfully raided the caravan, defeated the Meccan contingent led by Abu-Jahl, Muhammad's most bitter critic and as Lesley would write, "The natural order of their world had been upended." With strengthening of his military and political position, his relation to Jewish tribes was set to change. From his initial position where he advised his followers not to argue with Jews, except fairly and politely he kept on believing the two religions to have come from one source of monotheistic belief- Ibrahim. He was confounded with Jewish not joining Islam, while Jews clearly were happy with Jesus as the last prophet. The affair of Quaynuqa gave him an opportunity to demonstrate that he was losing patience. As the story goes, an Islamic follower quarreled with Jewish man of Quaynuqa tribe on the pretext of protecting the modesty of a Beduin woman. Jewish were original inhabitants of Mecca, and were close to the biggest tribe of Khazraj, and their leader, Abdullah ibn-Ubayy. Muhammad accused Qunuqua of disloyalty and ordered his followers to surround their villages. He was no longer a mere messenger, just one of the common man; he was a man not to be wronged. The seize ended up with the exile of the Jewish tribe. This was the first exile of non-believers, another would come soon. Muhammad second fight with Meccans, this time led by Aby Sufyan of Umayyad clan ended in loss for the Muslims. ibn-Ubayy and his force had abandoned Muhammad right before the battle. Muhammad called them munafigun or hypocrites- those he held beck. Absolutism was in the play. You are either with me or not. Their was no room for doubt or disagreement. Islam dug deeper than geographical loyalties. One of the Medinan confederate was asked to deliver the message of exile to Nadir, the second Jewish tribe to be exiled by Muhammad, and when questioned why, his response was- "Hearts have changed, and Islam has wiped out the old alliances." Of all the claims of feminist equality, they ended up quickly becoming tools of polity, assets to be acquired and traded. Within three years of losing Khadija, Muhammad had three wives, and six more to come. Aisha, daughter of Abu Bakr, first follower, was the youngest. As per her own account, she was betrothed at the age of 6 and marriage consummated at the age of 9. He was quite enamored by her. And one of the oft-quoted infamous revelation, ironically was aimed to protect her. Once left behind in an expedition, she came back to Medina, rescued by a Medinan soldier, Safwan. Her necklace, the one given by Muhammad as wedding gift was lost and aspersions were cast. A revelation came at rescue, which meant a woman's crime of adultery cannot be established, unless four witnesses were to be produced. While this vindicated Aisha, it was later cited as necessary condition to prove grave crimes on the women. His marriages became a maze and it was a landmine to walk through them without the fear of offending someone or other. 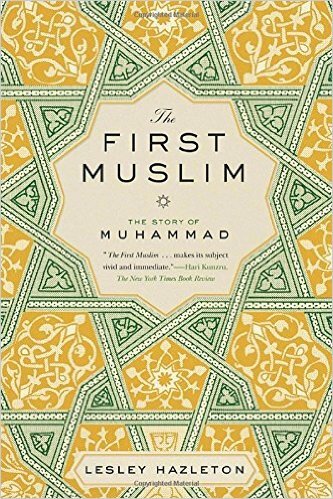 Lesley covers them sensitively and it also shows how, by this time, Muhammad was getting revelations, not in a broader sense directed at humanity, but to alleviate the complications in his own life. For instance, when Zayd, Muhammad's adopted son found him affected by his wife, Zaynab's beauty, he divorced her so Muhammad could marry her. Muhammad married and justified with revelation where he said the ban of father-in-law marrying daughter-in-law only applied to birth sons (the wives of your sons who sprang from your loins). Polygamy was initially granted to leaders only. It was also with means of discouragement stating, "you will never be able to deal equitably between many wives, so if you fear you cannot treat them equally, marry only the one." We thus find that the spiritual messages that began, towards the end of Muhammad's life became getting twisted, political and self-serving. This best explains the contradictions that we hear when we listen to people talking about Islam. The same Gabriel who was passing on a message of co-existence when they were mocked and harassed in Mecca, now gave instruction to Muhammad with newly gained power, "To strike terror in the hearts of Qureyz." Suddenly the revelation was not spiritual, not even poetic. It was blunt, it was military, it was violent. I would suggest referring Thomas Paine again here. However, as the massacre approached, Aws (local tribe of Medina) approached Muhammad. He asked militant Saad Ibn-Muaad to decide in his stead, who was on his death bed. Under the pretext of honoring the dying words, massacre was ordered. Qureyz, the last Jewish tribe of Medina was massacred, with number varying between 400 to 900. It was not a battle. It was beheading. The rule of Islam was absolute in Medina where it had entered as migrant under exile. 629, Muhammad with his 2000 followers went on Pilgrimage to Mecca, and on January 11, 630 AD, Muhammad ruled Mecca. As Leskey writes, "for all the Quran's insistence that he was just a man, obedience to him was sworn in the same breath as obedience to God." A new religion had breathed on the planet, which began with challenging the dogmas, supporting free thought, will end up opposing all that it represented at the birth. It is a great book and is seriously recommended reading. Being late in coming than other religious figures and prophets, Muhammad had his life well documented. His life is an example of how a message that begins with political correctness quickly converts into a dangerously dogma driven life. This is also an example of how absolute power corrupts absolutely and how quickly the one who began with challenging orthodoxy and conventions, ended up founding the most orthodox and conventional religion we have, where a mere shred of doubt, a question, a deviant idea, is responded to most violently. It also explains the concept of global Islam which at times supersedes regional/political/national identities (refer response by the Islamic messenger to Nadir above, their earlier compatriot and confederate). Pity that there are so many criticizing the religion, without knowing about it, and so many defending it, again, without knowing about it. No truth is beyond evaluation, not fact above scrutiny, nothing unchallenged. Please also remember, people are beyond religion. Humanity is the larger set we belong to, religion is but a sub-set. Read with rational minds, and without misgivings. My verdict: It is tiring and intimidating to review a book like that, but in search of knowledge, nothing should be out of bounds. Be brave and read the book.